It’s funny what kind of news stories make those working in the exhibition industry anxious. On November 29th, after Warner Bros. CEO Kevin Tsujihara told a Credit Suisse investment conference that his studio was in negotiations to shrink theatrical release windows, we received only one email requesting we dig deeper into the story. Yet, the moment Bloomberg published a widely circulated item reporting that Apple was talking to Hollywood distributors hoping to get early access to movies for iTunes, we couldn’t keep up with the email inquiries from film industry professionals. Maybe the exhibition community was simply stunned into silence by the bluntness of Tsujihara’s proclamation. Even after Universal Pictures predictably jumped into the mix (being already on the Prima platform), announcing they too were holding serious discussions with cinema owners over shortening the theatrical window, there was little stirring from anyone outside the media. By last Wednesday however, cinema operators must have come to. That’s when Bloomberg added Apple to the narrative, relaying how studios were talking to the tech giant about allowing home rentals of movies through iTunes just two weeks after movies hit theatres. The influx of emails after that story is a bit more understandable. After all, it’s Apple, so the news immediately became overhyped. Also, didn’t Apple kill the music industry with that whole iTunes thing? Could exhibitors be next?! We began making a few inquiries of our own to see what was really going on. As expected, we were told the obvious; home video revenue has dropped nearly 25% since 2004, and studios really miss the $8 billion they once earned from DVD sales. They want to recover it in the worst way (literally) and are hoping that premium VOD might be the solution at a time when theatrical attendance has been relatively flat (in North America), with the only increase in box office coming from rising ticket prices. The premium VOD window would be at least two weeks, if not longer, after the theatrical release of a film, not day-and-date. With the above terms in mind, it’s time for a reality check. Fiddling with decades old distribution channels is hardly ever straight forward and almost always fraught with pitfalls. It’s like that old saying about pulling a loose thread on a sweater and trying not to have the whole thing unravel. We can however, prognosticate about the potential ramifications a premium VOD window would have on each participant in the distribution channel. Such a plan raises a number of unanswered questions and certainly would explain why Apple’s name is being thrown about. Let’s start with cinema owners, who represent the first distribution window. Presently exhibitors benefit from being the exclusive retailer of new product and pay a negotiated fee (or film rental) at a specific level. Shortening the time frame in which a new product is exclusive often causes retailers to pay less for that product. Translation; exhibitors might seek to pay a lower film rental fee on titles headed to premium VOD windows, though distributors are loathe to ever reduce the percentage of box office they receive for fear of making the adjustment permanent. If lowering film rental during the opening week isn’t possible, then exhibitors will surely look to cut the distributor’s cut as soon as a title is available on premium VOD. Right now, it’s weeks or months (if at all) before the film rental percentage is lowered in favor of the exhibitor. Creating a premium VOD window could diminish the amount of time a distributor receives an equal or majority of box office receipts. Should distributors offer exhibitors a revenue share on premium VOD sales, then they might have a bargaining chip that can help them maintain current film rental percentages. If we pull on that proverbial thread a little more, we move to the next window in the distribution chain; early electronic sell through (EST). Unlike video-on-demand (VOD) or subscription video-on-demand (SVOD), EST is a transactional model in which consumers purchase a movie for ownership an average of two weeks before the title is released on DVD and Blu-Ray. The margins on EST for distributors are significantly higher, averaging USD $13 per transaction. That is USD $10 more than VOD and USD $12 more than SVOD. And here’s where Apple enters the picture. In 2015 EST generated USD $1.89 billion for distributors in the United States and of that Apple iTunes accounted for roughly 45% (and 65% for premium titles). Much as they did with music sales, Apple has become one of the largest retailers of home video in North America, if not the world. The company does not want to see their share of the EST market or its associated earnings deteriorate in the same way that music streaming services such as Spotify shrank sales of digital music in iTunes. 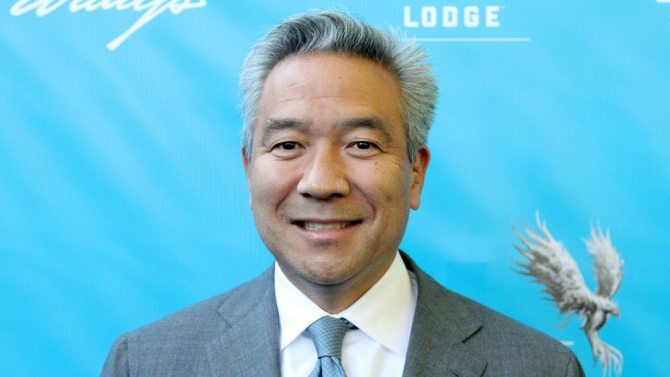 Rather than initiating talks with studios, Apple most likely, hearing Tsujihara’s comments about a premium VOD window, began reaching out to various studios to inquire (1) if such a distribution model was seriously being considered (2) how that would affect their own EST sales and (3) whether they could be the retailer for the new premium offering. Alternatively, (though not as likely), the studios reached out to Apple looking for vendors to sell premium VOD releases. Studios probably won’t give a single retailer exclusivity over premium VOD titles. As with exhibitors, distributors won’t get something for nothing however, as large early EST retailers will surely push back on pricing and revenue share if a premium VOD window were to be adopted. Prices for early EST, which used to run as high as USD $20, have slipped to an average of USD $15 in just a few short years. Retailers are experienced enough to know that a premium VOD product which starts at USD $50 may eventually fall in price, a decrease some would argue should be mirrored in other distribution windows. Thus that sweater thread could get longer as it gets pulled even further, affecting regular EST, VOD, DVD, Blu-ray, etc. It’s easy to see how a premium VOD offering increases uncertainty within the traditional distribution chain, raising all those questions exhibitors and retailers will want answered. 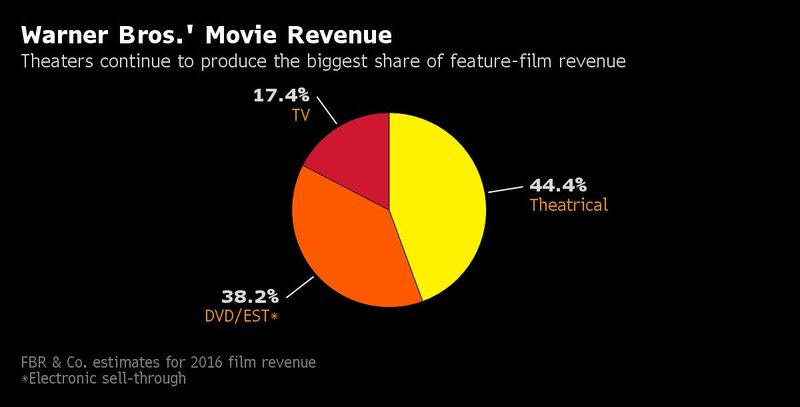 What if a shortened theatrical window with a premium price only attracts a niche audience, not giving studios the revenue they had hoped for? What happens when the studios then lower the price of premium VOD so that it gets more traction? And how does the pricing of the premium product window affect the pricing of later windows? These are just a sampling of the questions asked by those we spoke with about the subject during the past two weeks. The one thing every industry executive could agree on was that at least the studios were not mandating how exhibitors must distribute their titles, as was done in 2011 when some tried to force the day-and-date release of certain movies in cinemas and in the home. That attempt was squashed by cinema operators who refused to book such films. This time around there is actually a healthy conversation taking place between the various stakeholders, one which has a better chance of leading to a positive outcome for all involved. In closing, it might be worth noting that the studios being mentioned most frequently in media stories about a premium VOD window are Warner Bros. and Universal; two studios whose owners are, or might soon be, the very cable operators who stand to benefit greatly from distributing titles during such a window. Universal is owned by Comcast and AT&T is in the process of acquiring Warner Bros. Meanwhile 20th Century Fox is in the process of buying the 61% stake that it doesn’t already own of UK pay-TV operator Sky, to complement its wholy-owned Sky business in Germany and Italy. Of course, opening up that line of thinking pulls on an altogether different thread, one with its own set of issues to unravel.